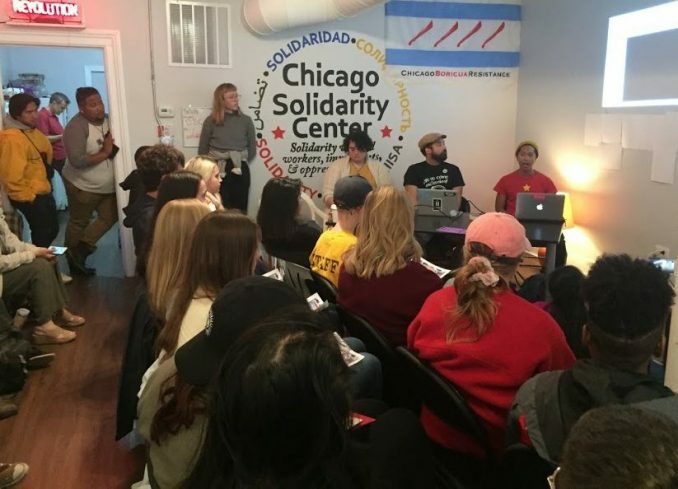 Dozens of Chicago activists gathered for a Sept. 30 public forum on current anti-colonial struggles in Puerto Rico, the Philippines and Palestine to discuss the upcoming International Tribunal on U.S. Colonial Crimes in Puerto Rico. 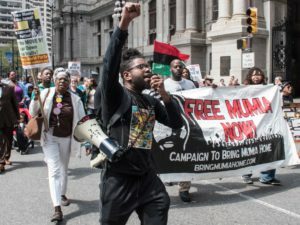 These countries all share a common history of colonial oppression, and the people of each offer inspiring examples, both past and current, of struggles for liberation. It has been 120 years since the U.S. invasion and colonization of Puerto Rico; 120 years since the people of the Philippines liberated themselves from Spanish rule; and 70 years since the Nakba — “the catastrophe” — the forced expulsion of Palestinians from their homeland by Zionist settlers. Today, Puerto Rico is still a colony of the U.S.; while the Philippines is nominally independent, but in reality is a neocolony of the United States; and Palestine is occupied by Israel. Representatives of the Puerto Rico Tribunal, Chicago Boricua Resistance, Anakbayan Chicago, Chicago Workers World Party, and a Palestinian scholar spoke on these interconnected struggles. The International Tribunal on U.S. 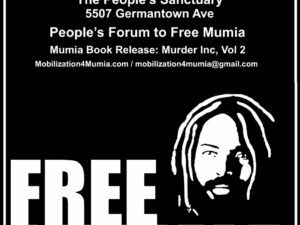 Crimes in Puerto Rico is being held on Oct. 27 in New York City. For more information, visit PuertoRicoTribunal.org. To help contribute to cover the costs of the Tribunal, visit gofundme.com/TribunalPuertoRico. Ignacio also highlighted the struggle of Filipino NutriAsia workers, who became the target of anti-worker violence at the hands of police when they went on strike against exploitative conditions. You can donate to support the NutriAsia campaign here: tinyurl.com/supportNutriAsiaworkers. Addressing the special connection between the Philippines and Puerto Rico, Alvelo said, “We share the same colonial masters — both Spain in the past and the United States now. 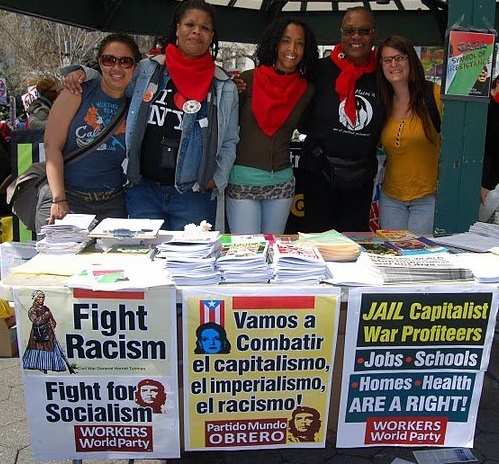 We see solidarity as absolutely essential in our struggles; we are both islands!” One of the ways the Puerto Rican diaspora is organizing to support the island is through Solidarity Brigades, which you can support at redapoyomutuo.org/donaciones. Samer Owaida, a Chicago-based Palestinian activist and scholar, presented a slideshow displaying original research that he helped conduct while in Palestine during the summer. He used both quantitative and qualitative methods to investigate the environmental effects of the Israeli occupation and its consequences on Palestinians.